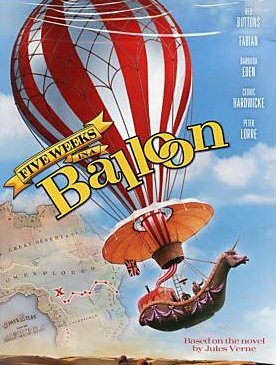 From Irwin Allen, the master of fantasy adventures, comes this upbeat comedy based on Jules Verne's wildly popular novel. 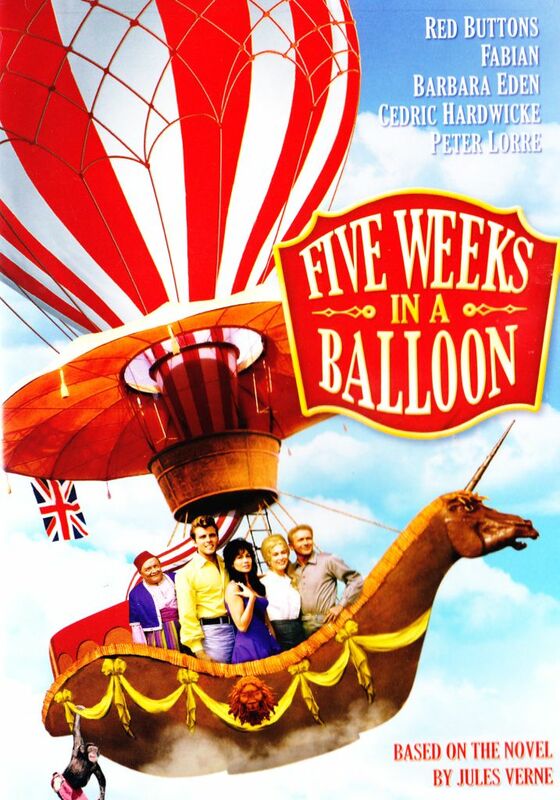 A crew of unlikely associates, including a 19th-century explorer (Sir Cedric Hardwicke), his assistant (Fabian), a troublesome reporter (Red Buttons), an absent-minded professor (Richard Haydin), and a liberal schoolteacher (Barbara Eden), undertake a balloon expedition in uncharted African territory. Hoping to plant a flag for the British Empire, this mismatched group must weather storms, hostile slave traders, sneezing sultans and, worst of all, each other! 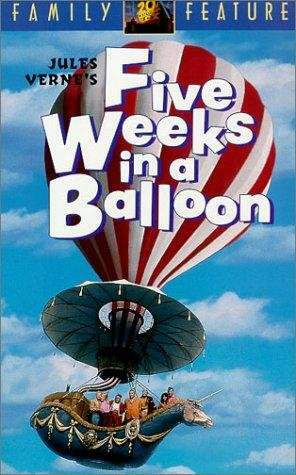 With its all-star cast, madcap romance and breathtaking landscapes Five Weeks In A Balloon is hilarious family fun from liftoff to landing!